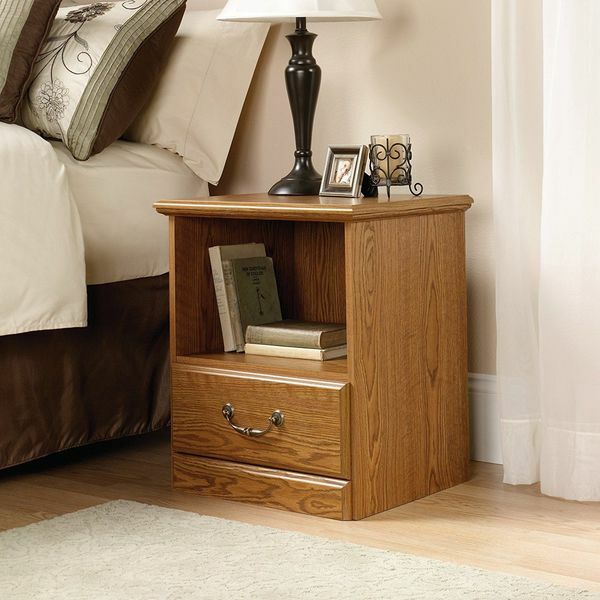 Get the regal appeal of oak in your bedroom with this Sauder Dakota Pass Craftsman Oak Night Stand. The nightstand is made from solid oak that remains unfinished to retain its natural grains. There is a slim drawer at the top for concealed storage as well as open storage at the bottom. 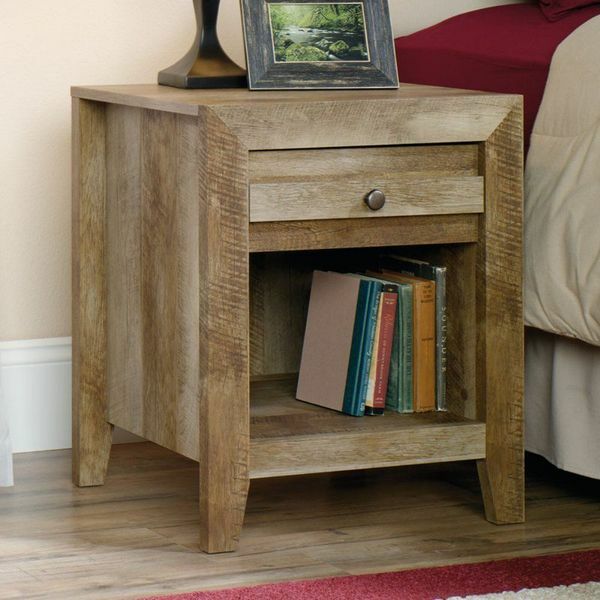 If you are in the market for a concise night stand constructed from 100 percent oak and featuring a rustic appearance, this nightstand manufactured by Shoal Creek would be a great one to consider. It features one drawer that utilitzes metal safety runners, which add to its already high level of durability. Below the drawer, you will find a wide open storage area that will allow you to easily access anything you might need throughout the night or upon waking in the morning. To top it all off, you will find that the stand’s top features a generous amount of space to place candles or even a lamp. Convenient spot for your reading lamp, books, glasses and alarm clock. Features open storage area and a bottom drawer. T-lock assembly will save you time while assembling. If you liked the design of the Oak nightstand by Prepac, but you were looking for something a little more elegant, this would be a great one to consider. This piece substitutes a classy looking handle for the oak knob. It also includes a backing on the bottom cubby area, which will prevent the items you have stored underneath from flying everywhere if you accidentally bump your nightstand. 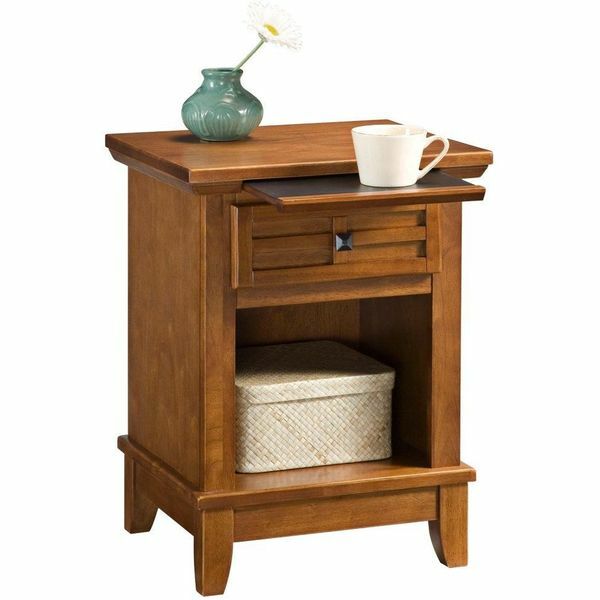 This is one of the highest quality night stands in this size class, yet it is still very affordable on any budget. Make this one yours today. This nightstand constructed from 100 percent oak would be an excellent addition to any bedroom. Unlike a lot of the oak nightstands you will find on the market, this one comes in a dark oak color, which gives it a very sophisticated appearance. In addition to an appearance that will blow your mind, it also features three drawers for practical storage purposes. 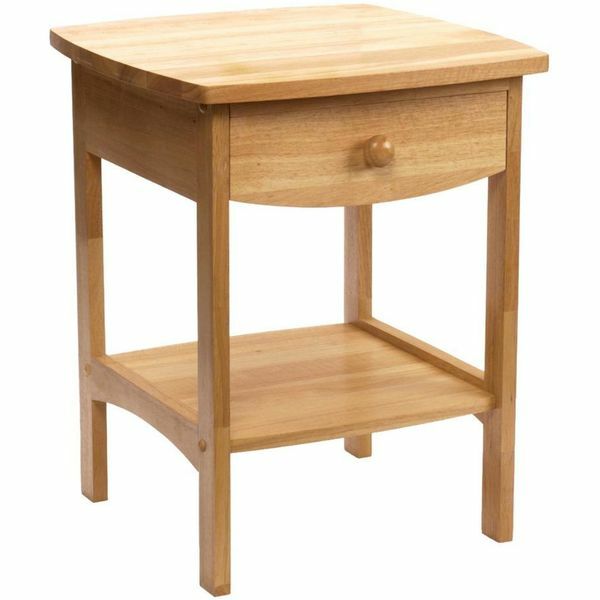 Additionally, this nightstand receives support from four legs opposed to the flat bottom design you will find on many traditional nightstands. With such a reasonable price tag, this is one that is too good to pass up. 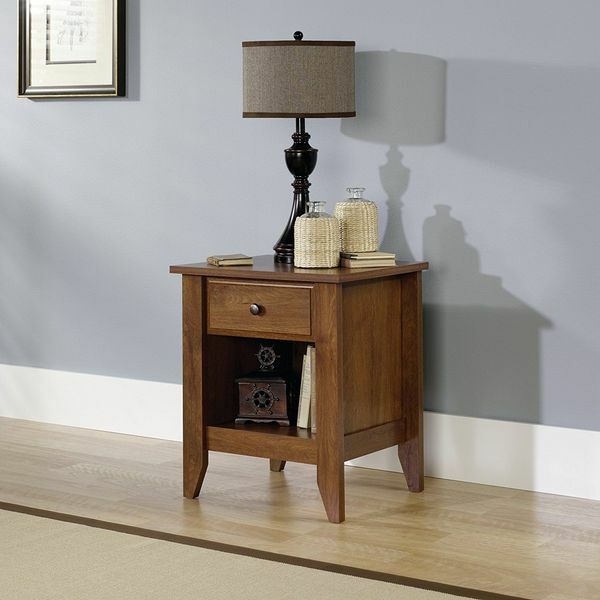 Made from sleek, solid oak, the Winsome Wood 82218 Claire Accent Table is every bit as stylish as it is functional. A drawer at the top offers concealed storage while the surface above and below delivers plenty of easy-access storage. The design measures 18 inches by 22 inches in size. 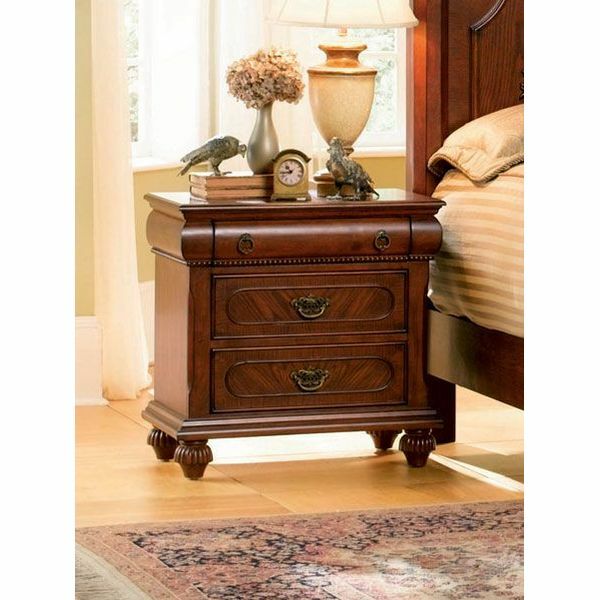 If you are looking for a classic looking nightstand that will still look great even in a home with the most modern of amenities, this would be a great option to consider. The cottage oak color gives it a medium level of darkness that will suit those of you who seem to be stuck somewhere in between the lighter and darker oak shades. You will also find that this nightstand has more than enough room thanks to the drawer and the shelf along with the primary surface area. This piece is one that will look great in any bedroom, and the price is truly unbeatable.